I have owned this 1957 Silver Hawk for about six years. It was purchased sight unseen (except for photos) from its former owner and trucked to Virginia from Wisconsin. Most of the restoration work was already done when I bought the car. I did some detail work, but that was about it. My Hawk is a six cylinder with automatic transmission a radio. It has a black vinyl interior which was expertly redone in the original material. Other goodies include a factory pushbutton radio, full wheel covers, door handle and gas door guards, and a vacuum guage as found in Golden Hawks. In a sense this is a relatively rare car, because fewer Silver Hawk sixes were made in 1957 than were Golden Hawks. 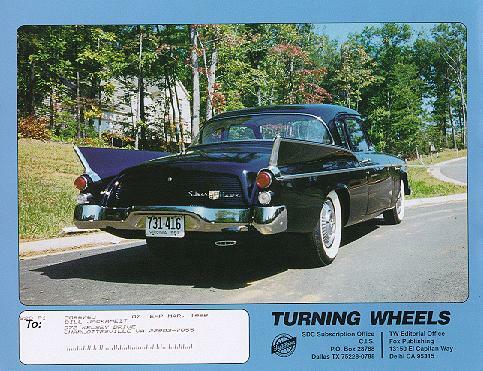 Studebaker produced a separate dealer brochure for the 1957 Hawk line. The Hawk brochure mixed both color photography and color art. The unusual two tone color scheme in the picture above is correct for 1957 Silver Hawks. The V8 and crossed flags emblem on the front fender indicates that this car is equipped with a 289 cubic inch V8. Golden Hawks came with painted fin inserts as shown in this picture from the same brochure. Silver Hawks received a similiar treatment in 1958. It is not unusual to see a 1957 Silver Hawk with the fin insert area painted, but they were not available from the factory that way until 1958. Studebaker brochures are often available on eBay for reasonable prices. This picture was taken in Clifton, New Jersey in 1962. 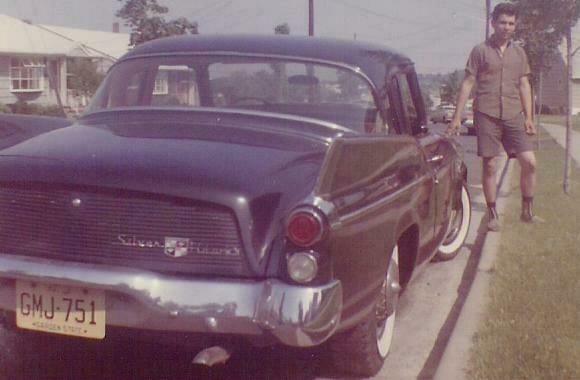 Yes, that is me standing by my first 1957 Silver Hawk. 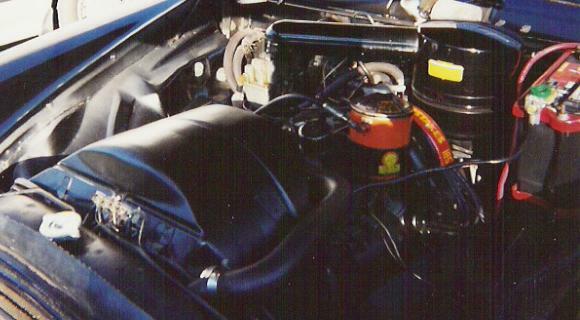 This Hawk was equipped with the 289 V8 and manual transmission but did not have overdrive. The only options of note were a factory AM radio and clock. Steering and brakes were both of the manual variety. The wire wheel covers came from a 1956 Golden Hawk. The owner needed some cash, so I purchased his wheel covers. Unfortunately, I only had this car for about a year before it was wrecked. There were no injuries, but the car was declared a total loss by the insurance company. This just seemed to be an appropriate Stude toy for this month. 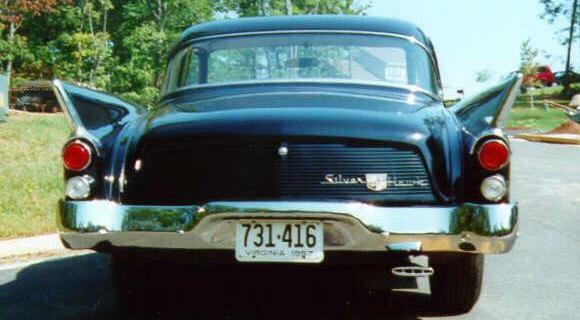 This is a relatively rare all black variation of the Solido of France 1957 Silver Hawk Coupe. I purchased this model from Asheville Diecast several years ago. 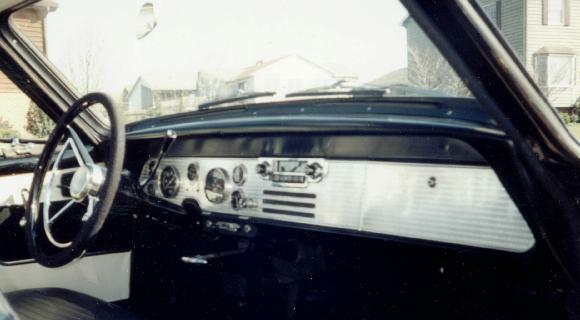 Solido issued the 1957 Silver Hawk in both coupe and hardtop form. This was relatively easy to do since the body is diecast but the roof is plastic. For obvious reasons, this is one of my favorite Studebaker Toys. I have only seen one other like it, an unboxed example that sold on eBay for about $50 some time back. To see more toy Studes, visit my Studebaker Toys Home Page.